Credit: Yeosang Yoon with images from NASA. Download this image (JPG, 3.7 MB). [28-Dec-15] A diagram illustrating the swaths of data that SWOT will collect. 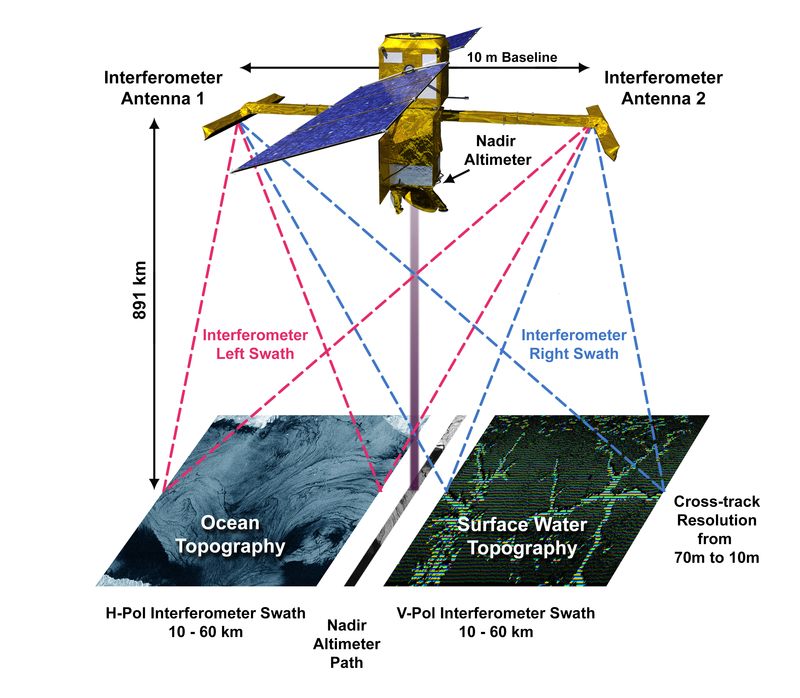 The interferometer will produce two parallel tracks, with a Nadir track from a traditional altimeter in the gap between the swaths. The overall width of the swaths will be approximately 120 km.